In 1989, the senior management team purchased the company from Metropolitan Life and changed its name to HT Group. HT Group established its own insurance company, HTG Life in 1993 (previously known as Union Life, now known as 3Sixty Life). The name was subsequently changed to Doves Group in 2004. NIC acquired 100% shareholding in Doves Group through Brevity Trade 12 (now called 360 FSG). Doves Group is one of the largest funeral directing companies in Southern Africa and a major role player in the progressive development of the funeral industry. Doves Group was the founding member of the National Funeral Directors Association (NFDA) and is currently the member of South African Funeral Practitioner’s Association (SAFPA) and the Funeral Federation of South Africa (FFSA). Doves Group has influenced the present day structure of the funeral industry. Doves Group runs a national network in excess of 160 branches in all the 9 provinces, providing insurance, funeral services and related products. 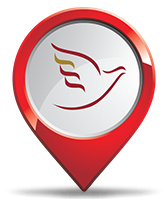 Doves Group in an authorized financial services provider with its funeral insurance underwritten by 3Sixty Life. The Leading funeral brand in South Africa. Delivers a service that will be a celebration of life. Creates an environment where our people can grow. Provides innovative funeral related services and products to all South African communities. Exploits the full extent of the funeral value chain for the benefit of all our stakeholders. To become the leading funeral brand across all markets. To increase the diversity of our income streams. To establish a commercial business partnership network. To implement efficient and cost-effective business processes. Delivering a service as a celebration of life to all our stakeholders, clients and employees.